Win-Win!! Middle School Class gets bookshelf from High School Students! Mini-grant funds are already “working” in the classroom! 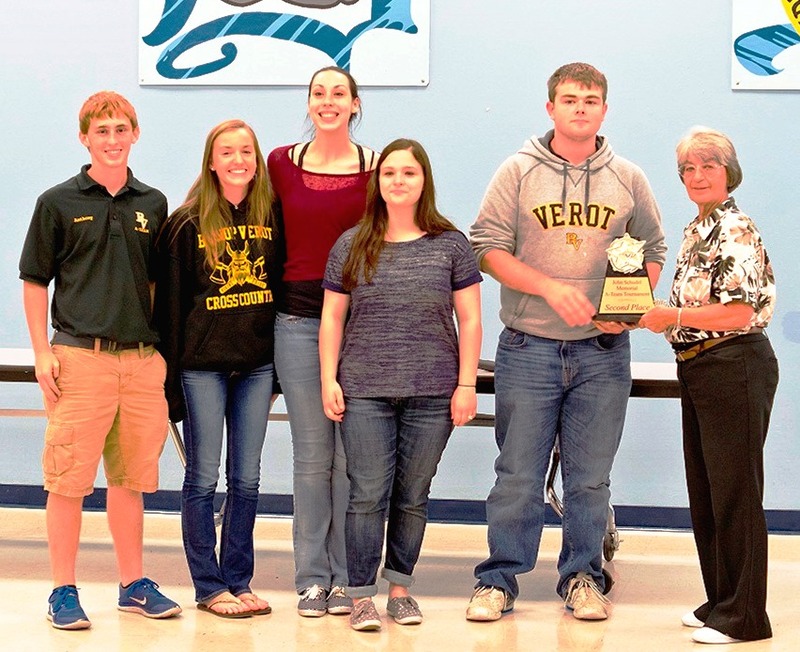 The Suncoast Credit Union in coordination with the DeSoto County Education Foundation contributed $1,500 in scholarships to the winners of this year’s John Schudel Memorial Academic Team Tournament, held Saturday, May 9th at DeSoto County High School. 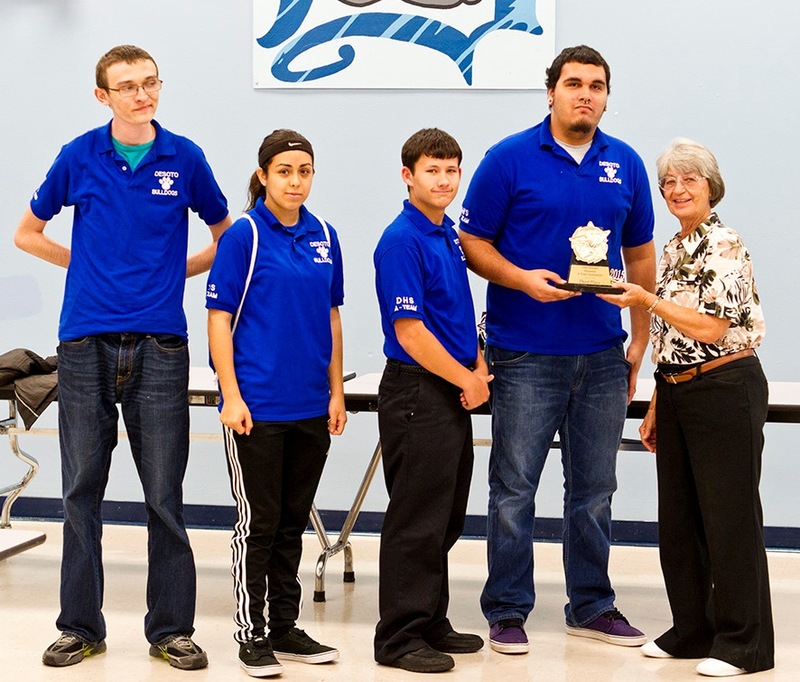 This event was held in memory of DHS English teacher John C. Schudel, a former Academic Team coach, who passed in 2010. During his time with Academic Team, “Mr. Shoe” led the team to win the State Championship three times and also led Team Florida to win the Nationals in 1999. 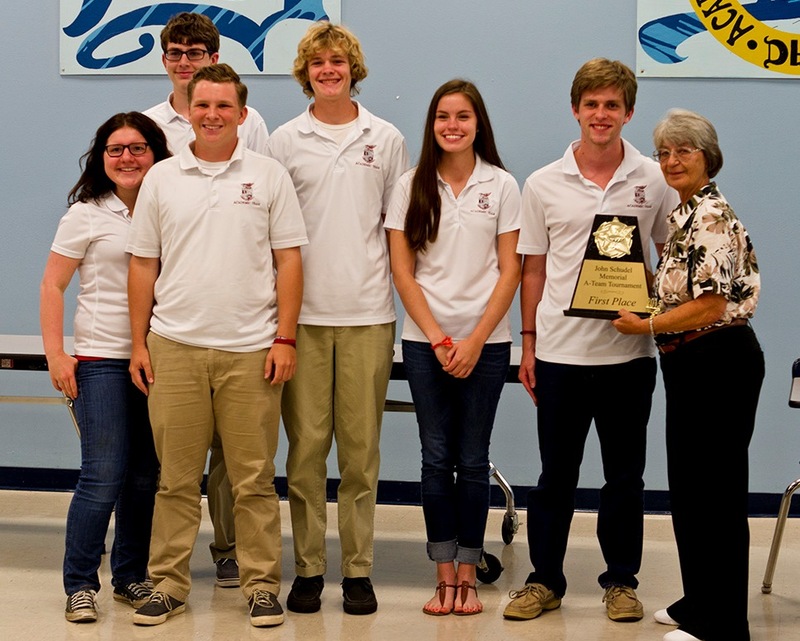 This year, a total of 8 teams from the following schools participated in the Challenge: Bishop Verot (Lee), Palmetto Ridge (Collier), Lemon Bay (Charlotte), Santa Fe (Polk), Clewiston (Hendry) and DeSoto. Class of 2015 walks away with $192,525 in local scholarships! Win $1000 for Your Classroom! Make a secure, tax-free donation to the DeSoto County Education Foundation. Learn more about what kinds of programs you help when you Give. In an effort to demonstrate a commitment to transparency and accountability, CLICK HERE find our audit financial statements and 990 tax documents.